The welcomed long days and beautiful sunsets make the perfect backdrops for late night summer soirees and afternoon picnics bathed in rich heat. However such an increase in sunshine and cosmopolitains can fuel two skin concerns of mine; excess shine and puffy eyes. 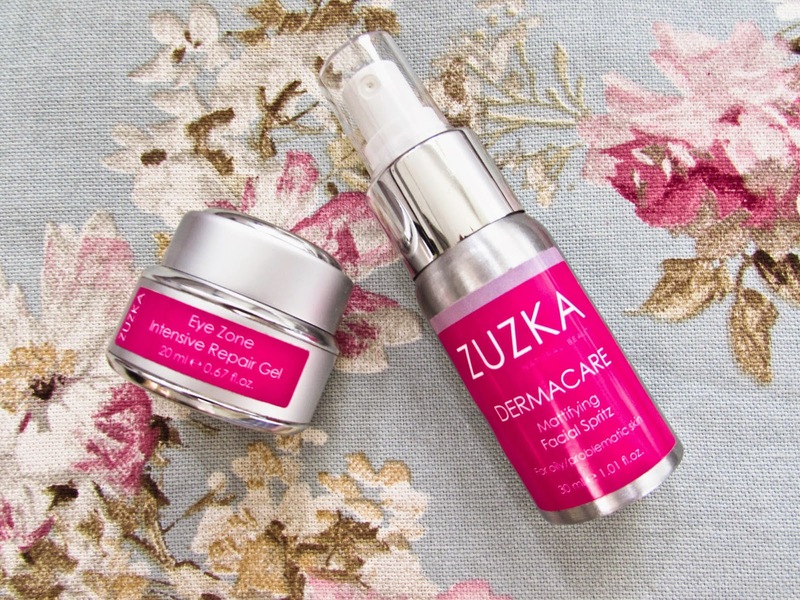 Obviously, it’s safe to say that cutting back on cocktails can be ruled out, so instead I’ve equipped my skincare routine with some truly brilliant savours from organic and natural beauty company Zuzka. 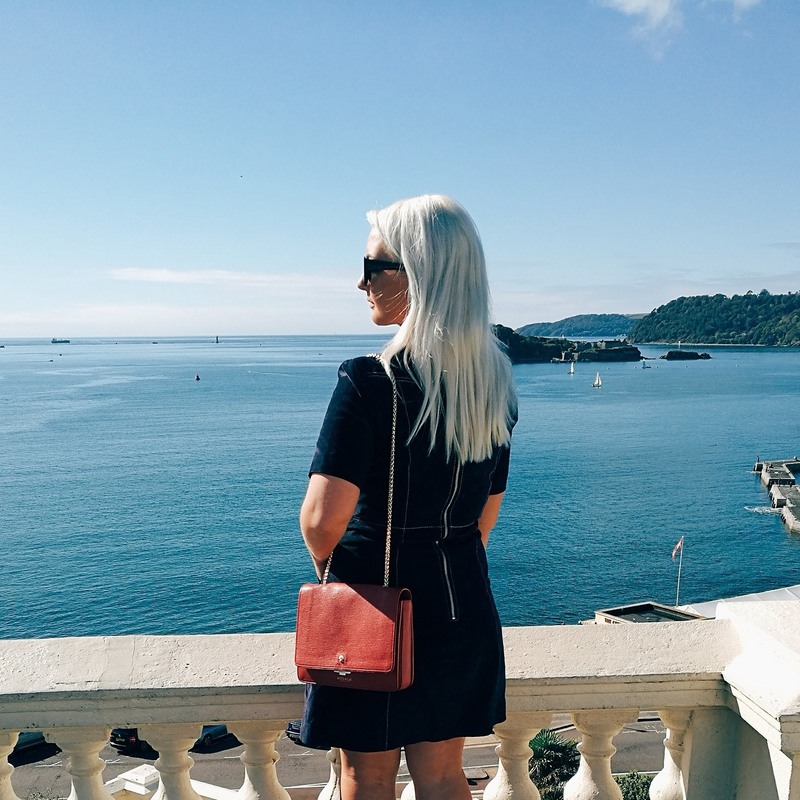 Originally a Dorset based private salon offering renowned beauty treatments and cosmetics, founder Susan Kohutova has since launched her line of products across the UK and has been featured in both Vogue and Glamour magazine. Susan is a qualified beauty specialist and registered medical herbalist with 20 years of experience consulting top cosmetic companies. Her extensive knowledge and passion for natural, gentle cosmetics makes Zuzka a skin-friendly but highly effective favourite. 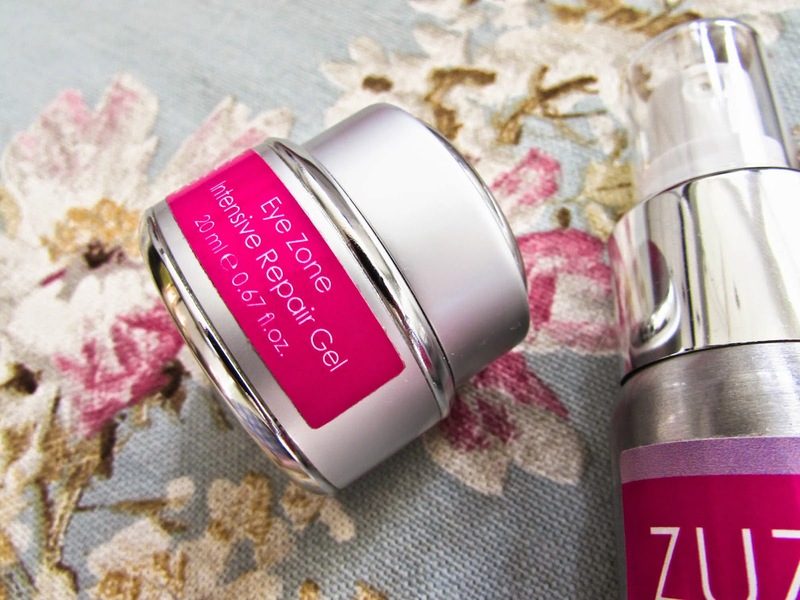 Zuzka cosmetics are natural, handmade, vegan and completely organic. They are free from harsh chemicals, parabens, synthetic ingredients and artificial fragrance, gently enhancing skin with long term health in mind. When sleep is on short supply, my eyes acquire dark circles and puffiness that makes me look exhausted no matter how many cups of coffee may be springing me back to life. 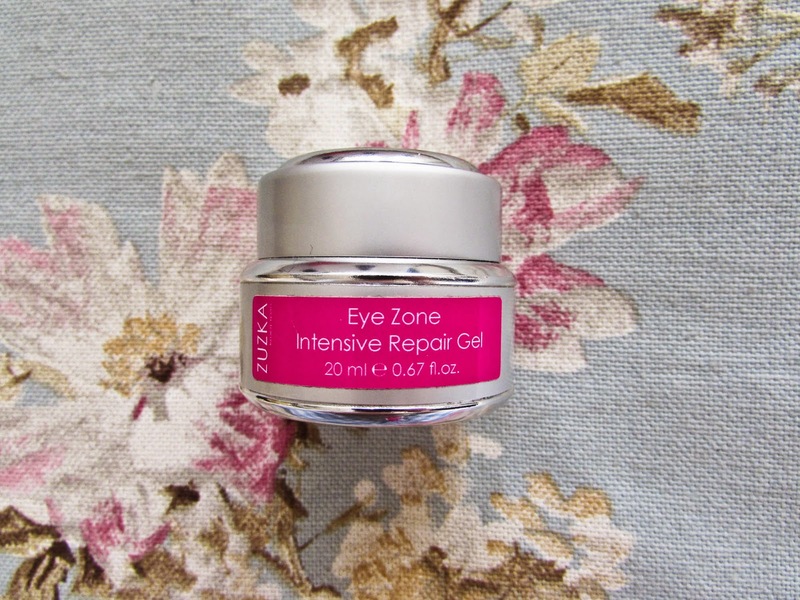 Zuzka Eye Zone Intensive Repair Gel is now a staple in my beauty regime, and I use it every morning to awaken my eyes and reduce the tell-tale signs of fatigue. The skin surrounding the eye is such a delicate area, so I’m extremely encouraging of natural products such as this. 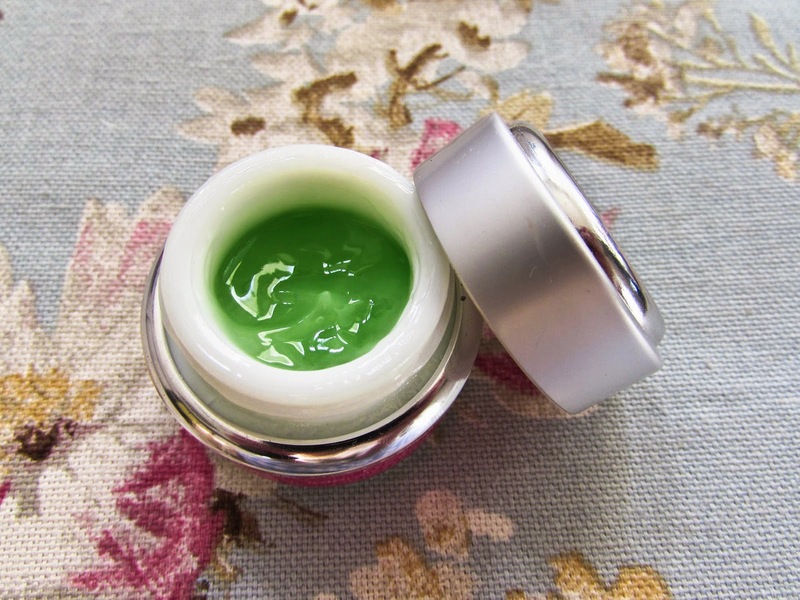 The eye gel contains organic whole leaf aloe vera gel, algae and carefully chosen herbal extracts so it’s kind and nourishing. As a contact lens wearer, I’ve had no issues applying this to my eyelid and the skin underneath my eyes. Instead I have benefitted from the refreshing sensation in the morning; a time when my eyes are a little dry and lenses can sometimes feel uncomfortable. Every morning I apply the gel with a gentle patting motion around my eyes and leave it to absorb for a moment. Its a vibrant, botanical green colour that emits an invigorating aloe vera fragrance. My eyes feel awakened almost instantly and dark circles and puffiness are reduced by the time I apply my makeup. Having used this for some time now I feel the quality of the skin around my eyes has improved in the long run, and the effects of the weekend are much kinder to me now. I was bestowed with combination skin, so my face is effectively a battle ground for oil and dryness. I go through tubes of moisturiser, and then suffocate my face in powder to camouflage any shine that does not fall into the ‘radiant’ category. I powder, a lot. Not only is it a waste of time and money but having to say ‘excuse me, I have to go and powder my nose’ to my fellow companions makes me sound like an unsociable, walking cliche. Also, skin can only take so much powdering before it starts having, quite literally a melt down. A resolution to such a predicament seemed unlikely, until Susan at Zuzka introduced me to the Mattifying Facial Spritz. The spritz is packed full of natural ingredients such as lavender, witchazel, tea tree and camphor waters that help to reduce oil build up and shine. It smells absolutely heavenly, but thanks to its natural components the fragrance is neither artificial or overbearing. I apply this in the morning to cleansed skin and use no more than two sprays to cover my entire face. It’s a delicate, yet refreshing start to my daily skin care regime and incredibly quick to do. The spritz absorbs into my skin without me needing to pat or rub it in further, but I like to use the time to make myself a cup of tea and allow it to dry completely. The weekend is when I put the Spritz through its toughest endurance test. A full day followed by socialising, dancing and drinking usually requires a new application of makeup, and we all know that isn’t always practical. 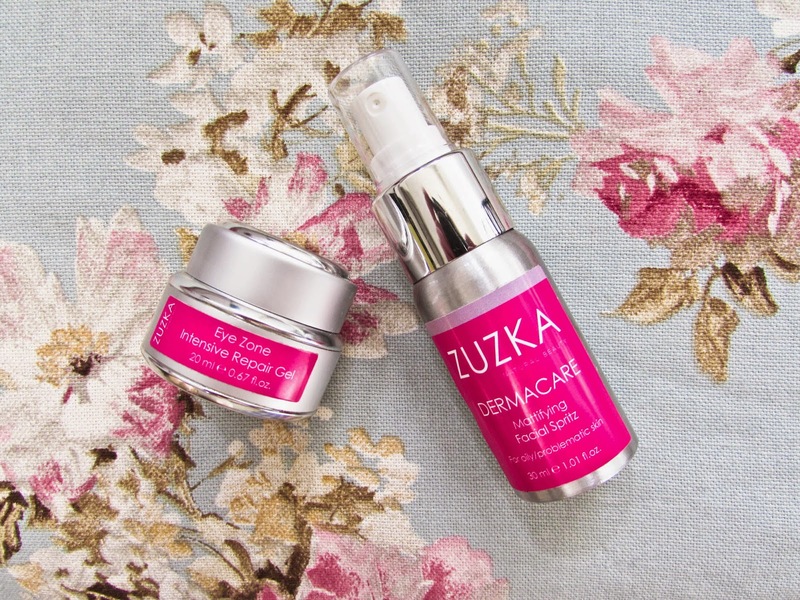 When I use the Zuzka Mattifying Facial Spritz early in the morning, I find my oiliness and excess shine to be considerably reduced, especially around my T-zone where it effects me the most. I only need to reapply powder a couple of times over the course of a long day and vibrant evening, which means my foundation coverage looks far better and doesn’t separate. Aside from the fact it’s keeping oil at bay, I love the fragrance and ease of application. For something so efficient, application requires minimal effort and I feel it frees my skin rather then weighing it down with a heavy texture or an abundance of chemicals. Another plus is that the bottle is a nifty size which makes it perfect to keep in your handbag. Both products have been incorporated into my daily beauty regime with much gratitude. It feels wonderful to be nourishing my skin with natural, kind, goodness and tackling beauty issues without the need for harsh, environmentally unfriendly chemicals and synthetic ingredients that do more damage in the long run. 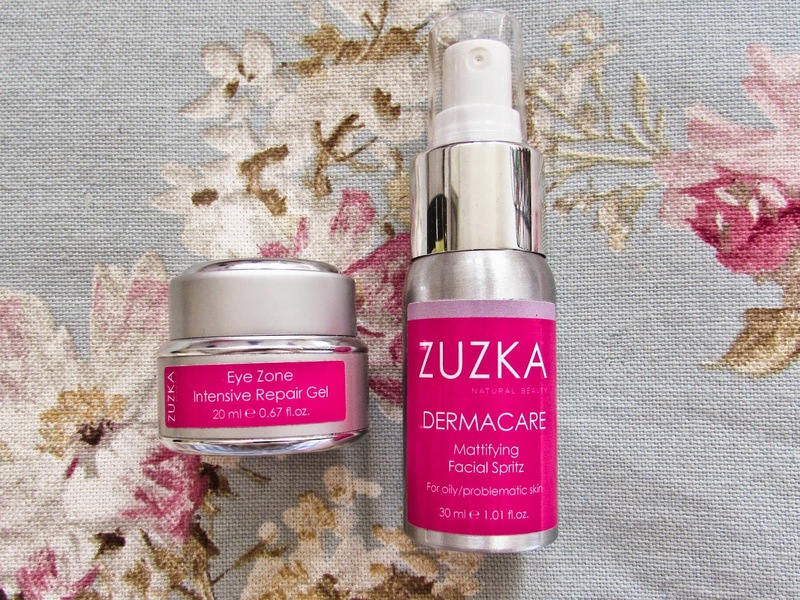 Zuzka is a fantastic company that I have been recommending to every one of my friends and with such a vast range of natural, innovative products I look forward to hearing even more glowing reviews. What are your thoughts on natural, organic skincare products?